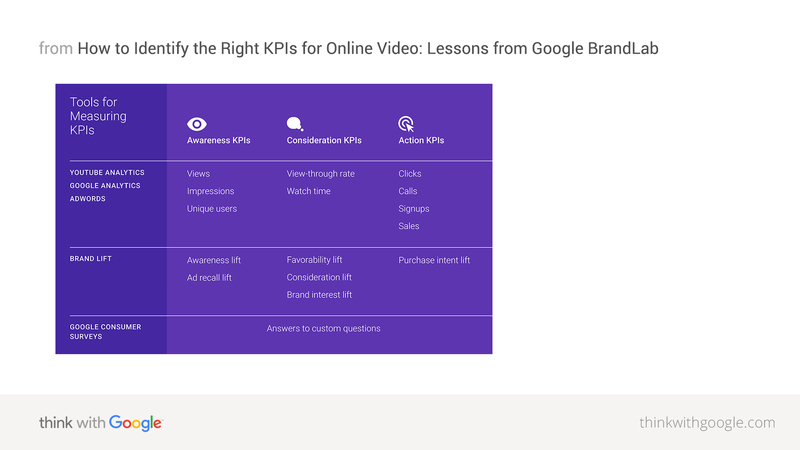 YouTube Analytics, Google Analytics, and Google Ads will help your team measure metrics like watch time, view through rate, and clicks. 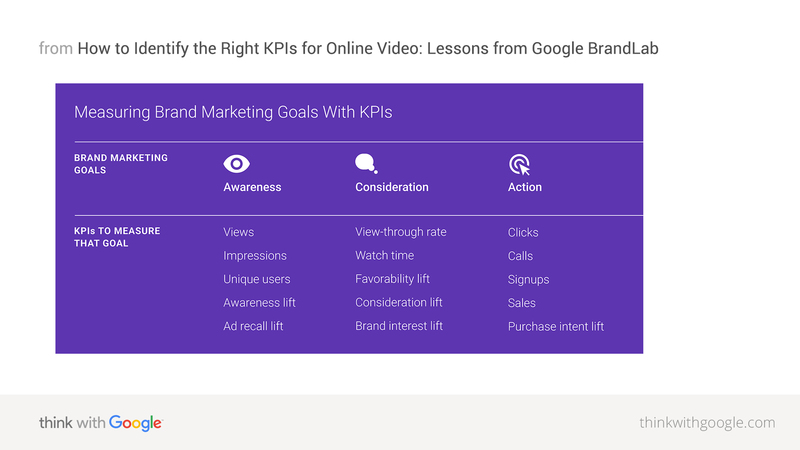 These metrics can act as a helpful scorecard, and you can log in while your campaign is running to track progress. But translating views or clicks to lifts in awareness, consideration, or purchase intent gets tricky. That's where our Brand Lift solution comes in. It measures your campaign's impact on big-picture brand metrics.